Featuring a razor sharp ZrO2 Ceramic blade. Each 2 3/4 in. 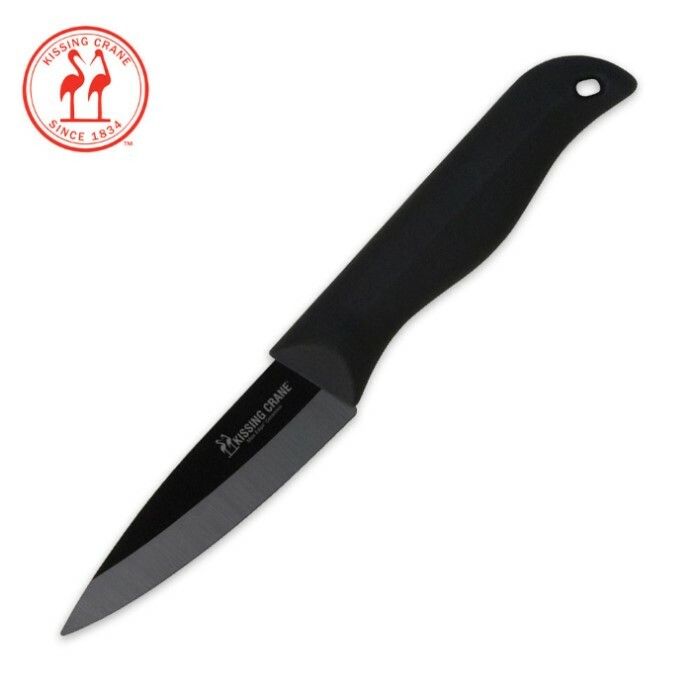 high quality, black blade is constructed of 95% pure zirconium ceramics and is honed to an edge not capable on steel blades. It is rust-free and dishwasher safe, making clean up a breeze. The matte black ABS handle is easy to grip even while wet and will not crack or warp over time. 6 in. overall.